Americans eat approximately 4.3 burgers a month, or about one burger a week. During the winter months, the number of burgers we eat increases not just because we don’t feel like cooking but also because comfort food feels great when it’s cold outside. It’s no secret that the burger is a meal that can be easily assembled, easily bought, and easily eaten. That said, here are eight interesting facts about the burger that you might not have known before. “Burger” is short for “hamburger,” not because it’s made of ham but because the name derived from Hamburg, Germany. Hamburg is also the originator of steaks, which were introduced to the U.S. by Germany immigrants. You might not think that there’s anything more American than a burger. But burgers weren’t actually popular in the U.S. until 1904. Burgers first hit it off with the American palate at the St. Louis World’s fair. Although the burger didn’t become popular until 1904, they’re a staple U.S. meal now. Approximately 50 billion burgers are consumed in the U.S. every year. Where’s the beef? It’s in American commercial hotels. Approximately 71% of beef in U.S. commercial hotels is served in the form of hamburgers and cheeseburgers. You might think the world really loves sandwiches. But as it turns out, 60% of all sandwiches made around the world are actually hamburgers. It’s no secret the U.S. really loves its burgers. In fact, if the number of hamburgers and cheeseburgers eaten by Americans every year were arranged in a straight line, it would circle the globe approximately 32 times. A great burger is often worth a pretty penny, but in 1921 the first restaurant to offer hamburgers on the menu charged just five cents for its burgers. Fast food might have been getting some bad press in the last few years, but that doesn’t stop places like McDonald’s from selling up to 75 hamburgers in as little as a second. Where can I find Wilmington Irish pubs near me? If you’re looking for Wilmington Irish pubs, look no further than Dead Presidents Pub. 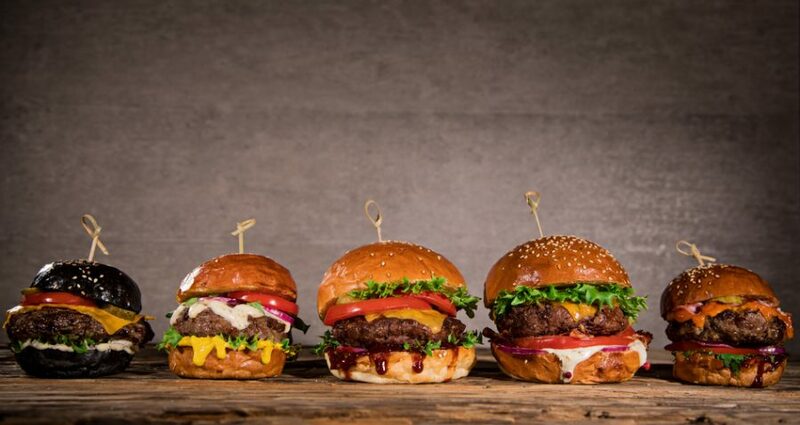 With good craft beers and artisanal burgers, you can make the most of a fun night out with us. To learn more about our craft beer list or to get more information on our local catering services, contact Dead Presidents Pub today.